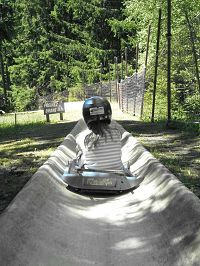 Within striking distance of Les Carroz are some fantastic days out for all the family – from the medieval town of Samoen to the lake and canals of Annecy – a great day out is guaranteed. 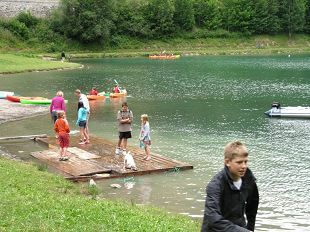 If you are looking for family holidays in France set in beautiful mountain scenery, you can be assured that Les Carroz is the perfect base from which to explore. Morrillon Adventure park An adventure playground set amongst the trees and bordering the Lac Bleu for swiiming - suitable for all ages. 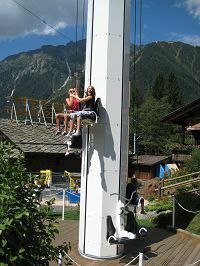 This company have recently installed a similar adventure park here in Les Carroz. Samoens and Annecy Two medieval towns to explore. Annecy has a wonderful lake where you can swim, hire pedalos or speed boats. Local Markets and Fetes A true taste of France at these local events - an excellent opportunity to buy your cheeses and sausages to take home. Les Carroz has a weekly market and it is always worth checking with the tourist office to see what events are happening whilst you are here.